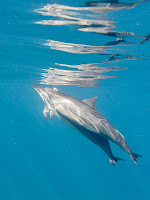 I got to splash around with some triathletes and spinner dolphins this morning. 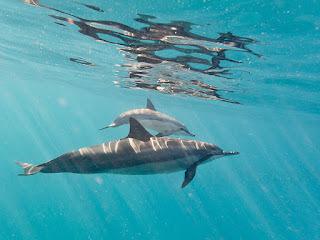 There was even a baby dolphin keeping a watchful eye on us. Click HERE for several more photos from today's ocean adventure.